Hampton Inn Mesa Verde/Cortez Co is located in Cortez, 32 km from Canyons of the Ancients National Monument and 15 km from Mesa Verde National Park. This 3-star hotel has air-conditioned rooms with a private bathroom. Free WiFi is provided. The units in the hotel are equipped with a TV. A continental breakfast is served daily at the property. Durango-La Plata County Airport is 74 km from the property. Guests are required to show a photo identification and credit card upon check-in. Please note that all Special Requests are subject to availability and additional charges may apply. In the event of an early departure, the property will charge you the full amount for your stay. 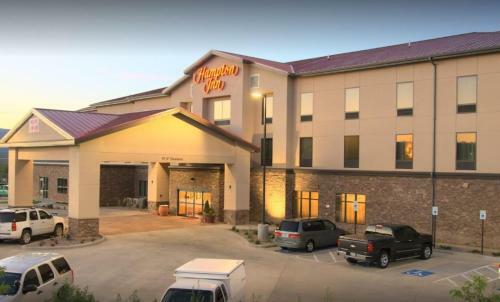 the hotel Hampton Inn Mesa Verde/Cortez Co so we can give you detailed rates for the rooms in the desired period.